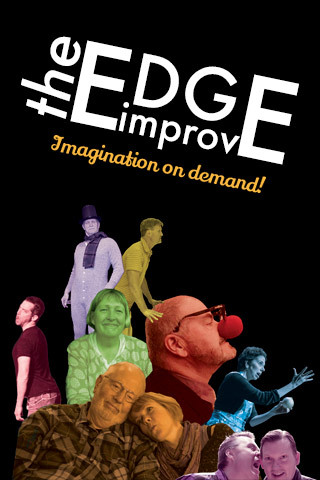 The EDGE Improv's riotous antics have inspired rave reviews from shrewd onlookers since the dawn of time. The troupe performs to sell-out crowds regularly at BPA where their shenanigans have earned a devoted community of followers seeking respite from life’s wearisome details. For nearly a quarter century, The EDGE Improv has ingeniously improvised facts of all persuasion. Their promise of "imagination on demand" routinely relies on audience suggestions. You won’t want to miss their first-Saturday performances, which troupe member Ken Ballenger likens to therapy (but cheaper!). Visit The EDGE online HERE! Read more about each troupe member HERE!